Beautiful weddings in Lanzarote and Fuerteventura. 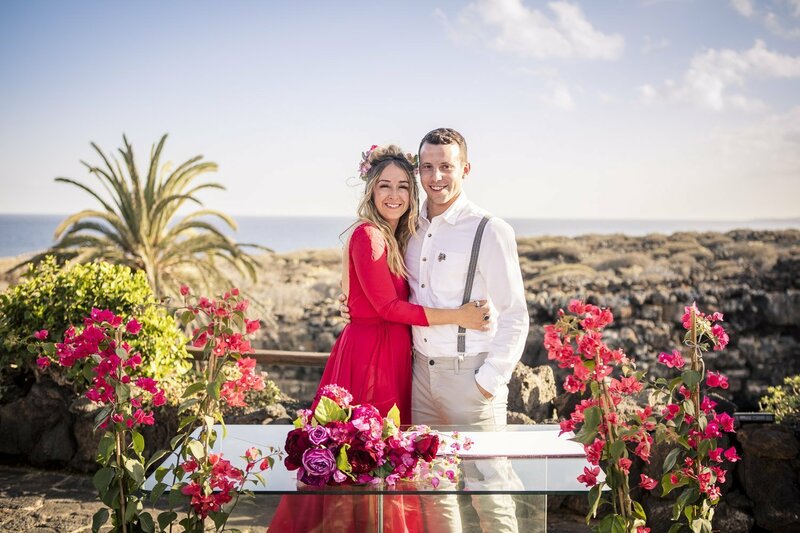 Individually tailored wedding planning, ensuring a day that is as unique and beautiful as you are as you declare your love in one of Lanzarote’s or Fuerteventura’s stunning venues under the Canary Islands sunshine. We will take care of everything – from venue to flowers, reception to photography and much more. Our list of suppliers has been built up over the years to offer you the very best available. With many happy clients, and their testimonials, you can be assured of our absolute commitment to you. With over thirteen years wedding planning experience here, we are unrivalled in our industry. Rocks and Roses Weddings are a bespoke wedding planning company, comprising team of highly experienced planners, who will work with you to ensure that your day is unforgettable. Whether you are looking for a ceremony for 2 or 200, from flamenco to fireworks, gala dinners or an intimate romantic dinner overlooking the sea, let us provide you with an unrivalled level of service and professionalism. All our venues and our suppliers are handpicked and as we have lived in the islands for years, we know them intimately. Rocks and Roses have had the joy and privilege of planning weddings in Lanzarote and Fuerteventura for 13 years and Sue’s impressive CV includes almost 20 years experience in events management in a variety of roles. 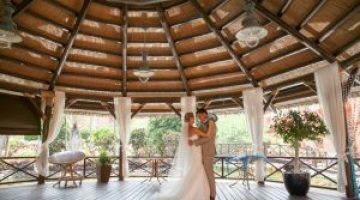 Exclusive deals available with Campo Phoenix when booking via Rocks & Roses Weddings. Sue and her team were professional, friendly and so amazing! I was a bit apprehensive about booking our wedding abroad but after researching a few wedding companies, I decided to settle with Rocks and Roses to help organize my wedding. Me and my partner could not be more happier we chose Sue and her team. from the first email asking for information to the wedding day, Sue and her team were professional, friendly and so amazing! They never lost sight of my budget and I never felt like I was not in control. I could not be any more happier with how the wedding turned out. Sue kept my vision of a small intimate wedding and made it such an amazing and unforgettable day. Thank you so so much to Sue and all at Rocks and Roses. You truly are angels on earth and have such dedication and commitment to making sure our day went perfectly and every one that was there agreed. God Bless you and thank you once again.